Create an app for an existing website and microsite to promote the app. 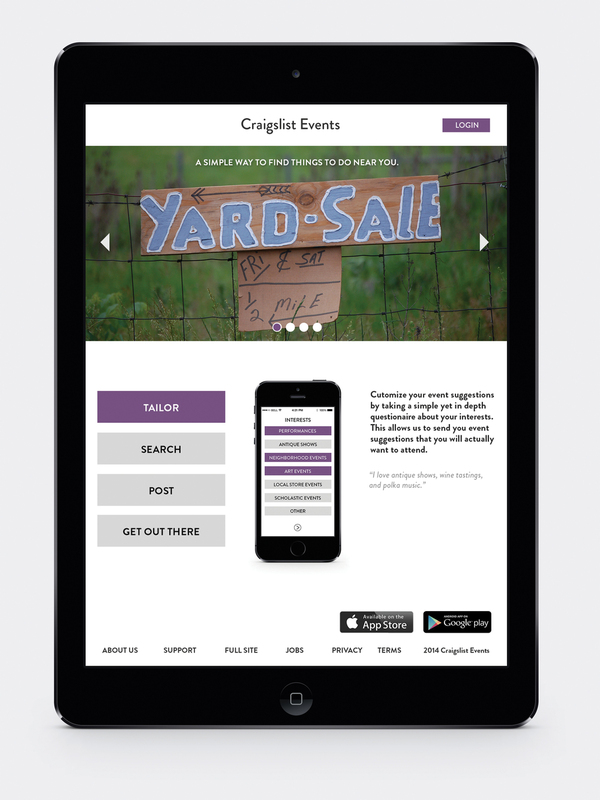 An event-focused app was created for Craigslist users. The target audience of the company is concerned with finding the services and events they want in a location close to them. With that in mind, I made the app focus on finding community-driven experiences. It is a system that allows customers to search for and be notified of events tailored to their interests. The app starts with a series of questions to learn what the user is interested in, and remembers these details to later suggest several different types of events happening near them. 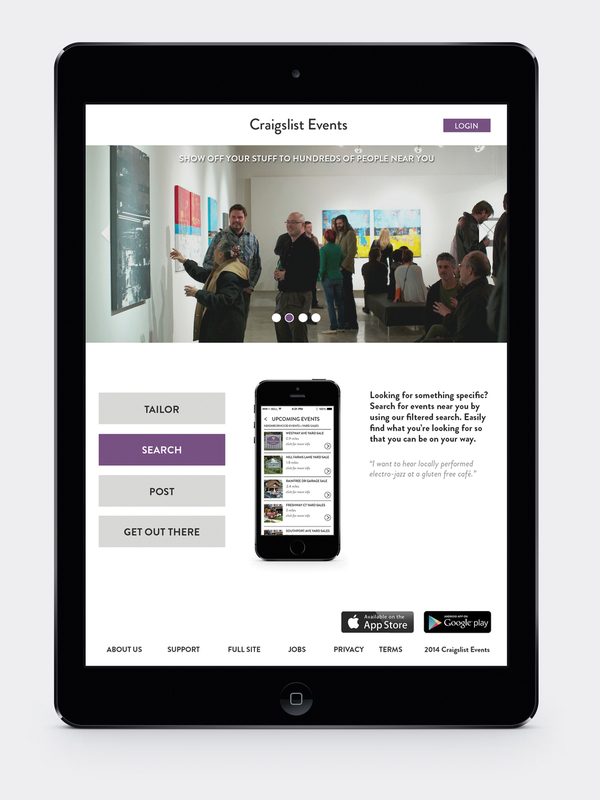 It also allows the user to search for local events, as well as post upcoming events.